Hewett & Associates provides expert accident reconstructionand investigation analysis. Mr. Hewett has been recognized as an expert in numerous states from District & Magistrate Courts to United States Federal Courts. By collecting evidence properly and utilizing the laws of physics, many questions may be solved including speeds, occupant placement, vehicle placement and reaction times. In addition, we could determine if any contributing circumstances may have existed, assisting in defense and/or limiting party liability. 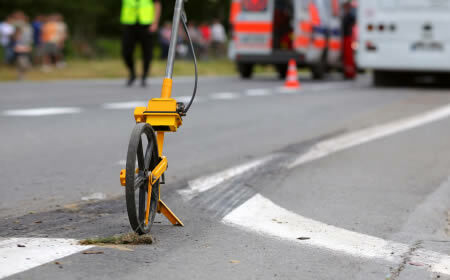 We also provide consultant services to cost effectively evaluate an accident report. This could assist in areas such as contingency evaluation, witness examination as well as identifying “problem areas” within the police investigation.